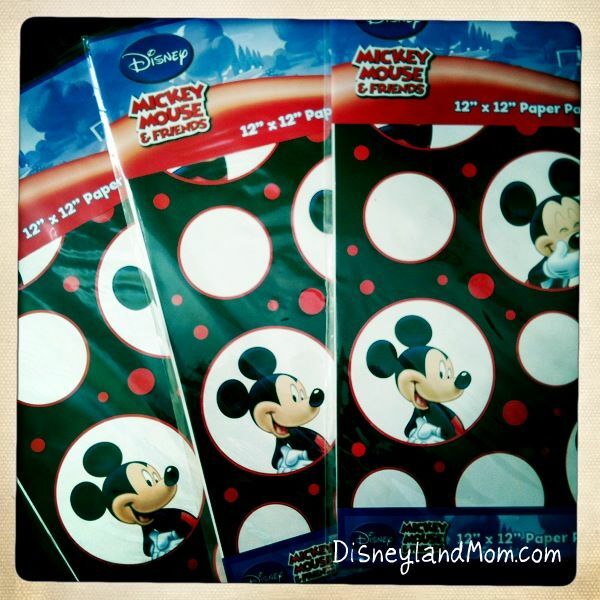 Disney Store Magical Friday 2011 Preview! 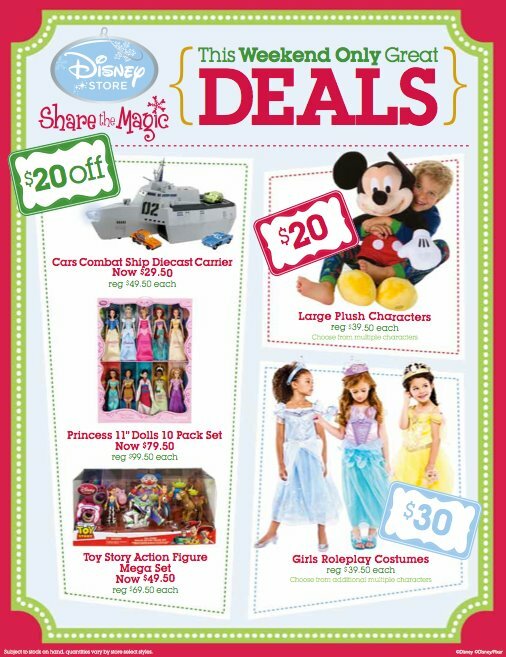 Disney Store is ready to make your Black Friday, or Magical Friday as they call it, well... magical! Disney Store increased their holiday staff by 40% (hiring close to 2,000 additional employees) and 150 Disney Stores across the country will be opening at midnight on Thanksgiving day! Disney Store will also be giving away free Muppets stickers and deals on Muppets plush to celebrate the opening of Disney's The Muppets movie on November 23, 2011. Guests who arrive between midnight and 10AM on Magical Friday can also take advantage of a 20% discount store-wide, including already discounted merchandise (some exclusions apply). Disney Store Magical Friday 2011 opening hours can be found HERE! 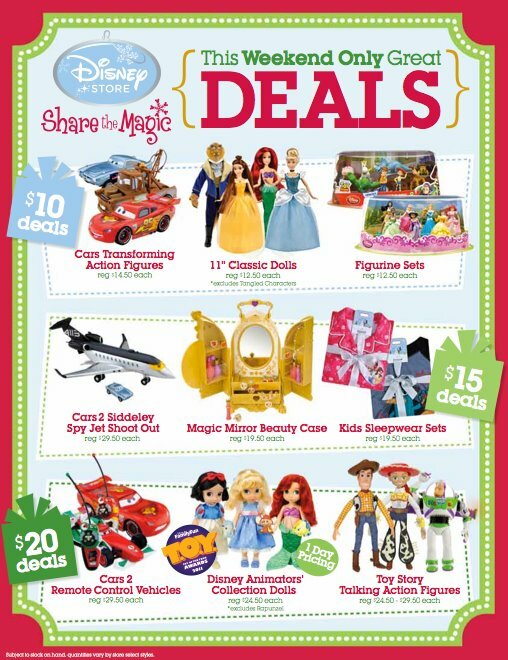 "On Magical Friday we expect more than 1.5 million guests to visit our more than 200 Disney Store locations nationwide to get the best deals on one-of-a-kind Disney holiday merchandise," said Jim Fielding, President of Disney Stores Worldwide. "This is the fourth year we're opening stores at midnight to serve guests that are eager to find gifts early, and we've stocked our shelves with the greatest collection of gift options featuring a wide assortment of Disney characters fit for every budget. There is something for every kid and for the kid in all of us, and when guests visit Disney Store on Magical Friday they will find a fun and festive atmosphere." Here's a sneak peek of Disney Store's Magical Friday and weekend specials! Cars 2 Transforming Action Figures—These action figures each come with special equipment that they keep hidden until they are ready for action. Kids can select from Holly Shiftwell, Mater and Lightning McQueen styles. Classic Dolls(11")—Turn every play time into a fairy tale with an Ariel, Belle, Cinderella or The Beast classic doll. Disney Figurine Sets—Now kids will be able to create their own adventures with these elaborate Disney Fairies, Disney Princess or Toy Story figurine sets. Cars 2 Siddeley Spy Jet—Master spy Finn McMissile and his crime-fighting partner team up on this Cars 2 Siddeley Spy Jet Shoot Out Play Set. Finn stows away inside Siddeley until you press the button and launch him into the action for more espionage excitement. Magic Mirror Beauty Case—Bedazzle your little maid with the bejeweled beauty case that's filled with a bounty of glittering baubles. Kids Sleep Sets—Kids will snuggle in after a day of winter fun in these soft pajamas that feature a selection of their favorite Disney characters. Cars 2 Remote Control Cars with turbo speed—Take the Piston Cup champion for a spin with Disney Store's exclusive edition Lightning McQueen remote control vehicle. Sporting his new Cars 2 look, Lightning has lots of great features including 15 phrases, lights and turbo speed function for greater high-speed thrills. Additional characters include Tow Mater and Finn McMissile. Animators' Collection Princess Toddler Dolls—Named "Toy of the Year" by Family Fun Magazine, these young renditions of your favorite Disney Princess characters (Ariel, Belle, Cinderella and Snow White) were re-imagined as toddlers and created under the guidance of the Walt Disney Animation Studios animators. Toy Story Talking Action Figures—These action figures are full of well-known phrases that will take your kids' imagination to infinity and beyond when they play with the talking Buzz, Jessie or Woody action figures. DisneylandMom.com is thankful for our Twitter and Facebook friends and would like to share a little holiday cheer with you! Three lucky readers will win a pack of Disney brand Mickey Mouse & Friends 12x12 scrapbook paper! 1) Follow @DLmomblog on Twitter and let me know using the comment section below. Be sure to leave your name and a way for me to contact you (email address or Twitter ID)! 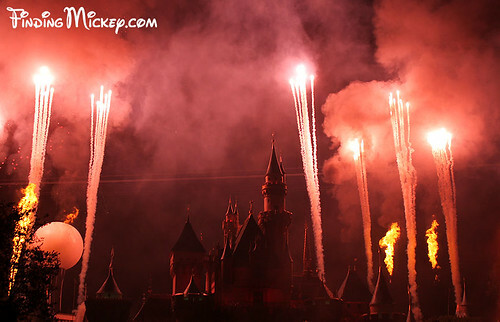 2) 'LIKE' DisneylandMom.com on Facebook and let me know using the comment section below. Be sure to leave your name and a way for me to contact you (email address or Twitter ID)! ANAHEIM, Calif. (Nov. 1, 2011) – Mickey Mouse celebrates the holidays with a cartoon-style Christmas tree this season as new décor adds merriment to Mickey’s Toontown for the 2011 holidays at Disneyland Resort. The holidays shine brightly throughout the resort from Nov. 14, 2011, through Jan. 8, 2012, as guests create memories for a lifetime. Those holiday memories might even appear in the nightly “The Magic, The Memories, and You!” show on the façade of “it’s a small world” in Disneyland park. A new segment of the show, specially added for the season, features a musical score filled with favorite holiday tunes and images of resort guests celebrating their holiday visits. As the presentation unfolds, the façade of “it’s a small world” Holiday is frozen in ice, decorated with wreaths and candy canes, wrapped in Christmas paper, and even turned into a giant snow globe. 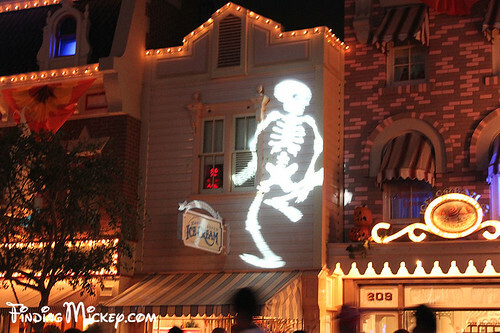 This new segment appears in “The Magic, The Memories and You!” beginning Friday, Nov. 18. Nearby, in Mickey’s Toontown, the centerpiece of the new holiday décor is an 18-foot cartoon-style Christmas tree in front of Toontown City Hall. Sculpted garlands and wreaths adorn the Toontown gazebo and add holiday cheer to the Gag Warehouse. The personal Christmas trees in the front yards of Mickey’s and Minnie’s houses also carry the “toon” theme. On Main Street, U.S.A., Disneyland welcomes back the traditional, 60-foot-tall Christmas tree that is a popular guest photo location. 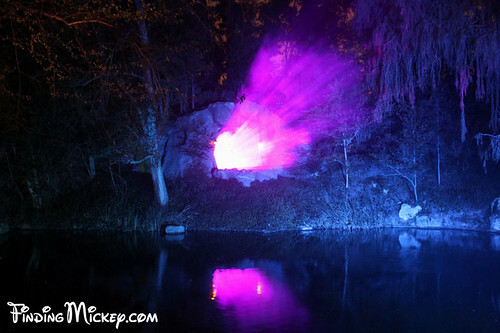 In Disney California Adventure park, guests are treated to a jolly seasonal addition to the “World of Color” nighttime water spectacular. This holiday season, Lanny and Wayne, Santa’s techno-savvy elves from the “Prep & Landing” holiday specials, appear in a “World of Color” sequence. Disneyland Resort also welcomes back all the guest favorites for the holidays. 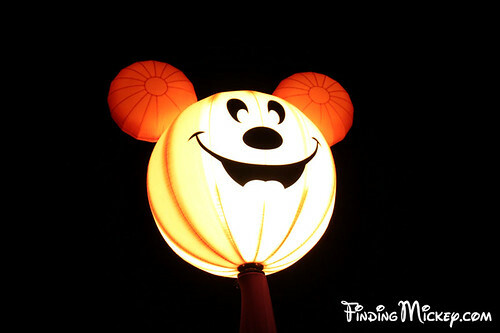 Among the popular offerings are “A Christmas Fantasy” parade, the nightly snowfall on Main Street, U.S.A, and special holiday versions of“it’s a small world” and Haunted Mansion. In Fantasyland, holiday guests will find the traditional snowdrifts and icicles adorning Sleeping Beauty’s Winter Castle. After dark, a sensational holiday lighting and special-effects show carries the magic of the holidays from the castle all the way to the Christmas tree in Town Square. The 60-foot-tall Disneyland Christmas tree is specially designed to present a nightly holiday light show like no other with more than 62,000 energy-efficient LED lights. The Sleeping Beauty’s Winter Castle presentation unfolds throughout the evening in three acts, each of them featuring a touch of winter snow on Main Street, U.S.A. The finale of the show includes the legendary “Believe … in Holiday Magic” fireworks show, which takes guests on a journey of sights and sounds of the season and ends with a touching rendition of “White Christmas,” along with a climactic snowfall swirling down on Main Street, U.S.A., “it’s a small world” Mall and New Orleans Square. At The Disney Gallery on Main Street, U.S.A., in Disneyland, a display of vintage and new art celebrating Walt Disney’s love of railroading will premiere during the holiday season. 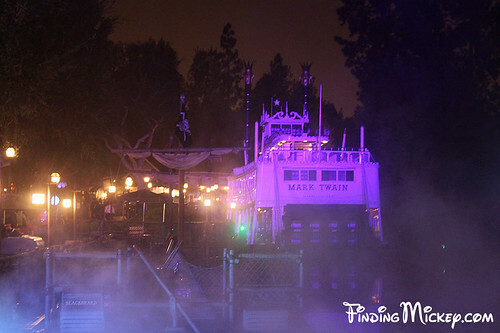 “All Aboard for A Grand Circle Tour of the Trains of Disney!” will survey Disney trains from the classic Disneyland Railroad to such historic routes as Nature’s Wonderland and the Carolwood-Pacific circuit that operated in Disney’s backyard in Holmby Hills, California. Themed entertainment, sparkling decorations and tasty treats add festive warmth to holiday fun at both Disneyland and Disney California Adventure. 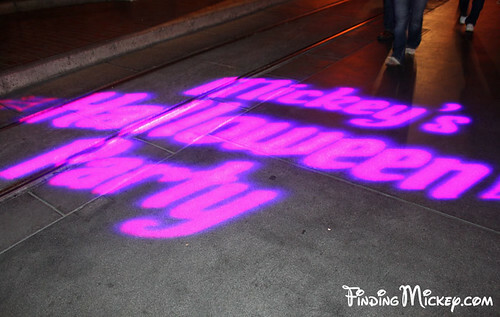 Also, guests may book guided holiday tours that provide entry into “it’s a small world” Holiday and Haunted Mansion Holiday, reserved seating for the Disneyland “A Christmas Fantasy” parade, a keepsake remembrance and entertaining information about the history behind Disneyland holiday traditions. 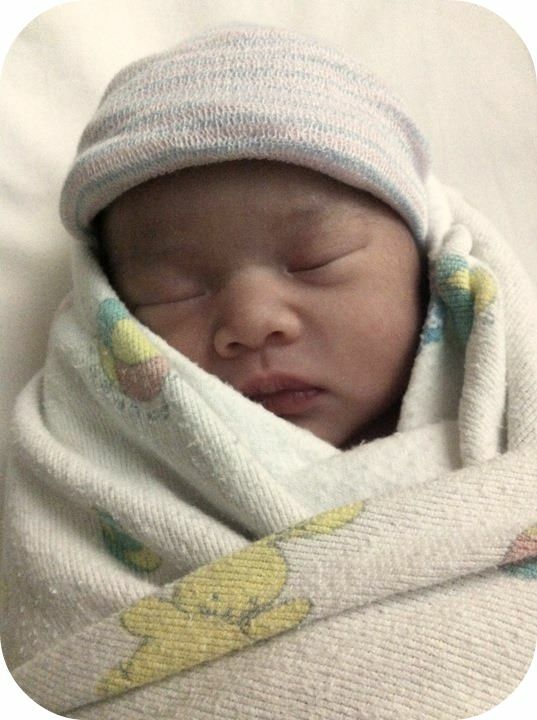 For information and reservations guests may visit Disneyland City Hall or call (714) 781-4565. “it’s a small world” Holiday becomes a worldwide celebration of the season, boasting more than 300,000 glittering lights on its facade. Also nightly on the façade is “The Magic, The Memories and You!” show with its new holiday sequence. 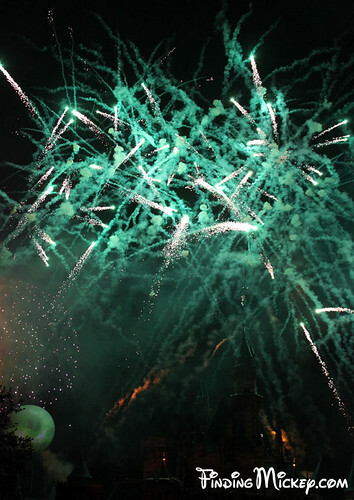 Haunted Mansion Holiday presents a madcap celebration as the traditions of Halloween and Christmas collide. 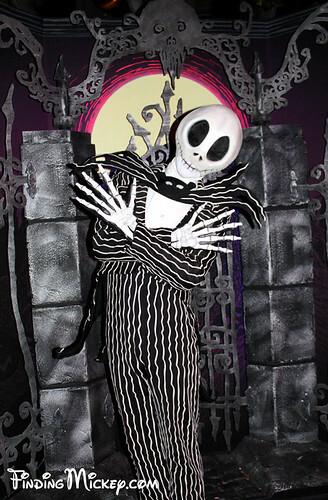 The ghoulish but well-meaning Jack Skellington from the film “Tim Burton’s The Nightmare Before Christmas” has come to Haunted Mansion to transform it with his skewed vision of the holidays. Santa Claus and his reindeer return to greet Disneyland guests at Santa’s Reindeer Round-up in Big Thunder Ranch, Frontierland. Kids and their families chat with St. Nick and see real reindeer grazing in a corral. Disney California Adventure celebrates the season with fanciful park-wide decorations and lively entertainment. The park’s newest attraction, The Little Mermaid ~ Ariel’s Undersea Adventure, is specially decorated for the holidays, along with its Paradise Pier neighbors, the Boardwalk Pizza & Pasta and Paradise Garden Grill restaurants. “a bug’s land” transforms as Flik and his bug buddies spread giant Christmas lights and oversized ornaments throughout their realm. The holiday scene along the Paradise Bay boardwalk includes a beautifully decorated Christmas tree and lampposts decorated with seasonal wreaths. Santa Claus greets guests in a specially decorated gazebo on the boardwalk near Ariel’s Grotto on Paradise Pier. 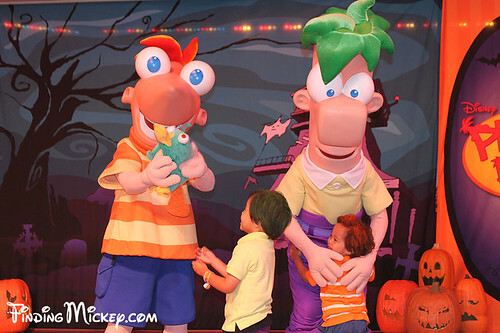 A new Disney California Adventure street show, “Phineas and Ferb’s Rockin’ Rollin’ Dance Party” invites guests of all ages to “seize the day,” dancing and singing on Paradise Pier with the Disney Channel’s inventive animated boy geniuses. Also on tap are the energetic “dance-off” competition of “Disney Dance Crew” on the Backlot Stage in Hollywood Pictures Backlot, and the rock concert-style “Disney Channel Rocks,” featuring music from Disney Channel movies and series, performed on the Palisades Stage in Paradise Park, alongside Paradise Bay lagoon. In Blue Sky Cellar at Golden Vine Winery, the Imagineers’ workshop offers guests a preview of what’s coming to Disney California Adventure, including Buena Vista Street and Cars Land in 2012. Guests along Paradise Pier in Disney California Adventure also may enjoy the new Little Mermaid ~ Ariel’s Undersea Adventures and Goofy’s Sky School attractions, along with such favorite as Toy Story Mania!, Silly Symphony Swings, California Screamin’ and Mickey’s Fun Wheel. Holiday shopping at Disneyland Resort offers an array of merchandise available exclusively at Resort theme parks and the Downtown Disney district. Along with ornaments, holiday-themed Mickey Mouse ears, jewelry and the celebrated Disneyland handmade candy canes, guests discover a new line of edgy and stylish designs featuring The Muppets on clothing, vinylmation and decorative skate decks. Disneyland Resort hotels join in the holiday merriment with twinkling lights and ornaments, special entertainment and holiday dining. 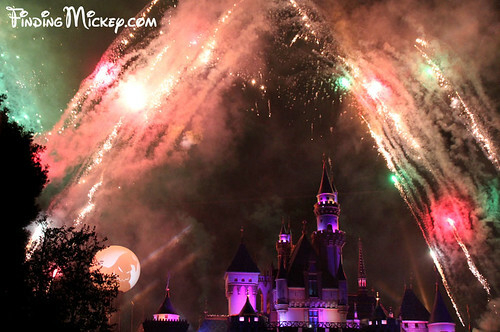 Expanded hours at both Disneyland Resort theme parks extend the fun. For more information about holidays at Disneyland Resort, visit www.disneyland.com/holidays and for hotel and ticket offers, visit www.disneyland.com/offers. 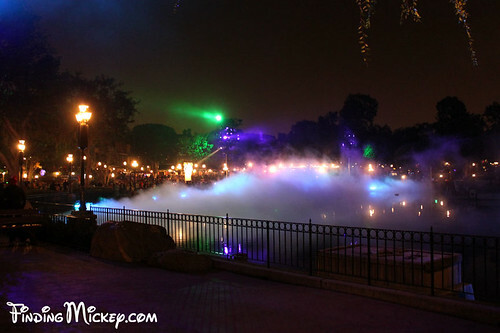 Halloween Screams: A Villainous Surprise in the Skies! Halloween may be over, but its memory lives on! 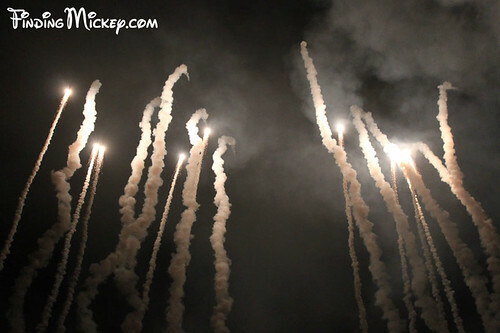 Here are some amazing photos from one of our favorite fireworks displays, Halloween Screams: A Villainous Surprise in the Skies, shown exclusively at Mickey's Halloween Party! 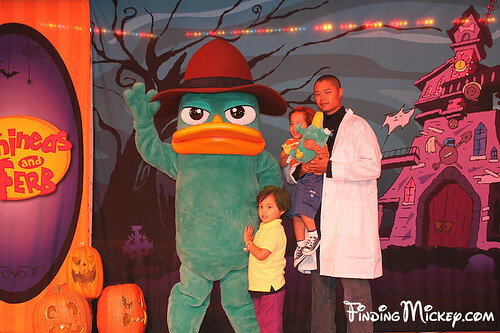 Our family celebrated Halloween early this year at Mickey's Halloween Party on Friday, October 21. We hung out with our good friends Chad & Mark of DaysInThePark.com and had a spooktacular time taking pictures and collecting candy (including healthy treats like apples, carrots and Craisins)! 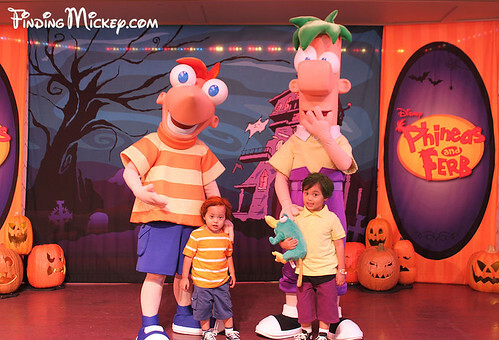 Our boys dressed up as Phineas and Ferb, which was a big hit with the Phineas and Ferb cast members! Enjoy some of our favorite photos from this year's party! 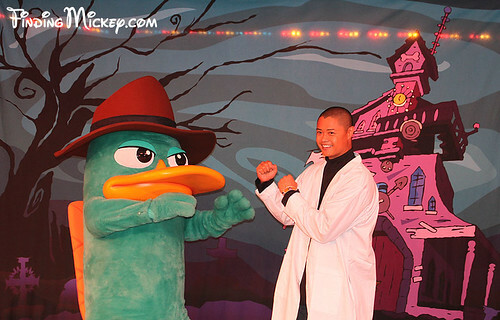 See more of our Halloween Time and Mickey's Halloween Party photos HERE! Winnie the Pooh DVD/Blu-Ray Review & Giveaway! Return to the Hundred Acre Wood, for the latest adventure featuring the world’s most beloved bear, Winnie The Pooh! Join Pooh, Tigger, Rabbit, Christopher Robin, Owl, Kanga, Piglet, Eeyore and all of the classic characters you know and love when Walt Disney Pictures releases Winnie The Pooh on DVD and Blu-Ray October 25, 2011! Inspired by three stories from A.A. Milne's books and created in Disney classic hand-drawn style, Winnie the Pooh is a wonderful and charming movie about friendship. One bear's simple quest for honey turns into a wild adventure to save his best friend, Christopher Robin, from an imaginary culprit. Children and children-at-heart will fall in love with their favorite stuffed friends all over again. It will leave you smiling from ear to ear! Now it's your turn to enter for a chance to win a Winnie the Pooh DVD/Blu-Ray Combo Pack! To enter simply take the personality quiz featured on the Winnie the Pooh widget above and share what character you most resemble in the comments section below. Don't forget to include your name and email address (or twitter name) so I can contact you. One entry per person. This contest ends on October 29, 2011 at 11:59pm PST. Winner be selected by random drawing using Random.org. This contest is open to US residents only. Prize will be shipped via FedEx or UPS (will not ship to a PO box). Thank you and good luck! This is a Flickr badge showing public photos and videos from finding mickey. Make your own badge here. Wife and mommy of 3. Disney enthusiast, Disneyland AP and D23 charter member. 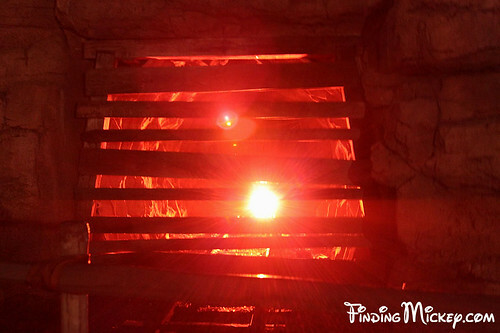 Creator of FindingMickey.com - The Hidden Mickeys and Details of Disneyland Resort. 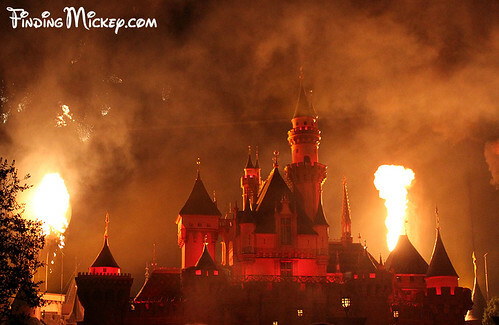 All content copyright © 2009-2011, DisneylandMom.com. Disney characters and materials © Disney. Simple theme. Powered by Blogger.